Creating your own company following your passion for environmental science isn’t easy, explain the founders of STIPA, an ecotourism company and consultancy in Cuenca – the city in southeast Spain that was declared a World Heritage site by UNESCO. In this interview, Nuria Chacón tells us how it all started, why the team expanded its activities towards ecotourism and what the biggest challenges are in running a small business. The challenges of ecotourism operators and destinations. Nuria, when did your interest in environmental sustainability begin? Our interest in environmental sustainability began when we decided to study Environmental Sciences at university. We didn’t know each other at the time. It was after we finished our under- and postgraduate degrees that we decided to work together. We had been involved in conservation associations since we were young. When we arrived at university, we began to understand the potential and weaknesses of Environmental Sciences as a discipline, participating in different initiatives like ornithological associations or the University Program for Cooperation with Nicaragua, in which we are still involved. Now, in 2015, how has your initial vision changed? After all these years, our vision has changed a lot, because we can’t understand environmental sustainability without considering the social and economic dimensions. The social aspect, the social skills that have to be developed when working on environmental projects, is very important, especially in regards to the negotiation and solution of conflicts. Throughout our careers we have seen many projects fail due to the lack of a comprehensive and realistic vision of sustainability. In 2008, together with your partner Gonzalo, you founded STIPA as an independent environmental consultancy, and in 2013 you expanded your ecotourism activities. Why ecotourism? It took us many years to establish this part of the business, but it was clear that there is great potential in the field of ecotourism. Cuenca is a province with numerous protected natural areas, good transportation and quality accommodation, but there is a lack of touristic services. We are talking about a service providing guided visits in these natural areas that is committed to conservation and directly benefits the community. We didn’t have any previous tourism training, so it was challenging both personally and professionally. Other ecotourism businesses in Spain face similar challenges, since most of them are created by professionals trained in environmental sciences but with little training and/or experience in tourism. After all these years working in STIPA, what professional achievements are you most proud of? One of the projects we learned the most from was the design of the Monitoring Program for the Network of Biosphere Reserves in Spain, as well as work done for the Network of National Parks in the context of its programs for ecological and social monitoring. As part of these projects, we visited all the Spanish Biosphere Reserves and did a detailed analysis of their configuration and function, both in the field and in the office. We learned a lot about the social research methodologies and the baggage entailed in visiting and speaking with technicians at a national level. Most recently, and in the field of ecotourism, we are immersed in the group that coordinates the 2nd Edition of the Grus Grus Festival in La Laguna de El Hito (Cuenca). The event aims to promote Cuenca and Castilla-La Mancha as a nature destination, taking advantage of the natural phenomena most important during winter season: the cranes. What is the biggest challenge in working in sustainable tourism for a small company like STIPA? Currently, we are three people working at STIPA, so we are a very small company. But we prefer to consolidate these positions and grow slowly to be able to provide good working conditions, which are essential for a sustainable tourism. Due to the small size of our company, we have to perform various tasks in the office, on excursions and through consulting projects…and all this has to be reconciled with our family lives. This is one of our greatest challenges. Another main challenge (as with many companies like ours) is the power to attract a foreign public that doesn’t know the natural value of our region and that we think would enjoy our excursions, since some of their home countries have a long history and culture of enjoying the natural environment as ecotourism, much more than what is currently the case in Spain (even though interest in Spain is growing). We have spent three years working as local providers of excursions and have been able to analyze the statistical trends in the region like the profile of tourists that go on our excursions. This has helped us identify our target market, and we are now in the commercial phase of our services. 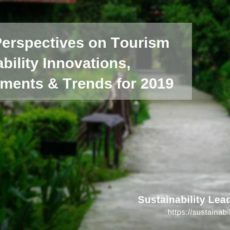 From our point of view, the best way to measure the success of these initiatives is measuring the state of the social perception of the population and agencies involved in tourism. When the importance of sustainability applied to tourism has permeated a society and they are conscious of the value of conserving their natural/cultural heritage, we can say that this is an indicator of the success of an initiative. In Spain, this is evident in the islands that have a track record in this regard, for example in Menorca or El Hierro. Anyone you ask will talk about sustainability, limited resources, and the pressures of mass tourism. Whether residents and businesses are for or against specific policies, at least they know the context. 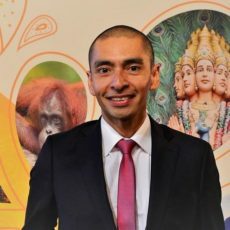 What professional advice would you give to recent graduates that want to become involved in the field of sustainable tourism? In our humble opinion, we would advise them to combine training in marketing, tourism and the environment. Regardless of the training, you need perseverance, professionalism and dedication to gain a foothold and recognition in the field in which the business operates. And, this takes time, so you have to be patient and take into account this period of establishment in your career- or business plan. And, to travel and live different experiences is fundamental for having a comprehensive, global view of the world in which we live and the role that tourism plays in it. Your favorite book related to sustainable tourism? One of the books we really liked is Taking Responsibility for Tourism by Harold Goodwin. This book talks about the vital global necessity of sustainable tourism. It is an important challenge for those that organize and sell tours and tourism services and those that participate in this industry. 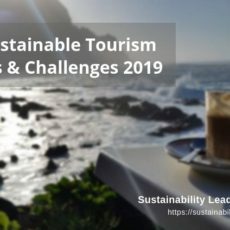 Taking Responsibility for Tourism is a ¨must read¨ for anyone with an interest in the debate about responsible tourism and, above all, an interest in the future of tourism in itself. In addition, the author is a person of considerable international relevance in the field of responsible tourism. Connect with Nuria Chacón on LinkedIn or learn more about STIPA here. 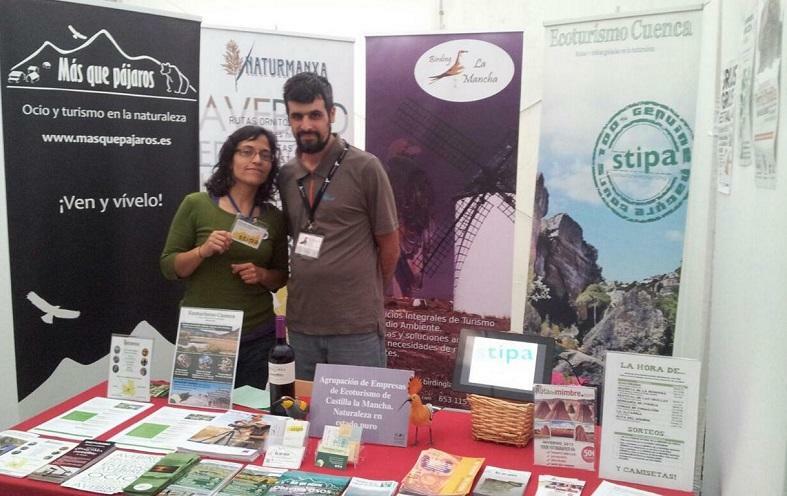 Enjoyed our interview with Nuria Chacón of STIPA on building a sustainable tourism consulting business and promoting ecotourism in Cuenca, Spain? Share and spread the word!